If you are new to coaching, this course is the ideal vehicle to achieve your coaching aspirations. You will engage in the development of fundamental knowledge together with the practical application and demonstration of essential coaching skills. Whatever your ultimate goal, the solid knowledge and skills base acquired through the Practitioner course is vital to any form or arena of coaching. — The cost of the Residential Experience is included in the price (all accommodation, three course meals and snacks), so you don’t pay for it additionally. And you retain the right for ever to return to the Residential and partake of the training for FREE, as many times as you wish in the future. ** The whole course takes about 350 hours, depending on your speed of learning and how fast you work will depend on how long it will take to complete. What we usually find is that if someone is doing 10-12 hours per week they can expect to get the course done in 9-12 months. The course is designed to be fully flexible and is designed to fit around a full time job or family. You can work through the course a lot quicker if you want to but you can’t really expect to get the course done in less than 6 months. The course is designed to be fully flexible and fit around your life style so you can start the course anytime you wish. We also offer our students a number of comfortable payment plans to make it as easy as possible for each student. Accreditation: The course is fully accredited with the IIC – the International Institute of Coaching. The IIC is one of the international accreditation bodies for coaches and coach training providers. The course is also endorsed with ILM -Institute of Leadership and Management. 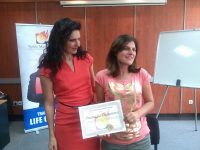 In the end you will receive an internationally recognized Diploma as a Life and Executive Coach. “Diploma Program of Noble Manhattan is intended for people who want to use coaching skills in their current profession and for those who want coaching to become their profession. This virtual platform allows freedom in the organization of learning, but also has the ability to exercise and enough additional attendance learning. Mentors of Noble Manhattan are of the highest professional level and are an inspiration to learners coaches. 1 day spent with you and I am a different person! Brave and motivated all of a sudden, energetic and full of ideas, willing to work and to learn new things! Your training was like Tsunami- it blew away so many of my limiting beliefs!!! I gave myself a promise that within 1 year from now I will be running my own business and you will be proud as my inspiring coach and teacher! I am so lucky to meet you- now I have the feeling and I believe that I am capable to take my life back and to create something that will make a difference, your guidance helped me see how I can PRACTICE my Mission. Looking forward to seeing you again and I give myself the promise you will see the POSITIVE IMPACT your words had on me! What part of the course did you find most beneficial? What was the reason you found this element of the course most beneficial? 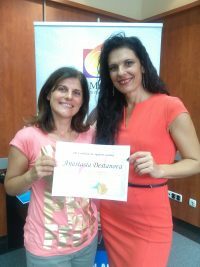 “I definitely found the mentor coaching sessions extremely beneficial and also real pleasure! 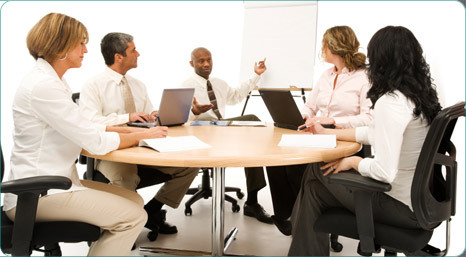 You will commence your studies by undertaking a good overview of coaching in the workplace. You will look at methods, models and tools, business coaching, executive coaching, the manager as coach, and team coaching. You will learn a practical step-by-step approach that supports your understanding and development as a coach in the business and corporate environment.In addition you will look at a practical approach to the world of leadership and what it takes to be a competent coach of leaders. Length of training: The whole course takes about 235 Hours in total – The course is designed to be totally flexible and fit around your own lifestyle and on average will take you 9-12 months to complete on average. Accreditation: Our courses are all fully accredited with the IIC – International Institute of coaching, and with the ILM – Institute of Leadership and Management. – Level 7 Certificate Course. 2) Residential 3 Day Training. — The cost of the Residential Experience is included in the price (all accommodation, three course meals and snacks), so you don’t pay for it additionally. The book critique is your thoughts down on a couple of sheets of A4 and there’s no real right or wrong answers, it’s just your understanding of the book. You don’t even have to like the book. We understand that a lot of our students haven’t been in a school environment for some time so we don’t mind about punctuation, spelling etc. etc. There are 4 study modules to cover. Each module contains a number of practical exercises, designed to deepen and integrate your learning. 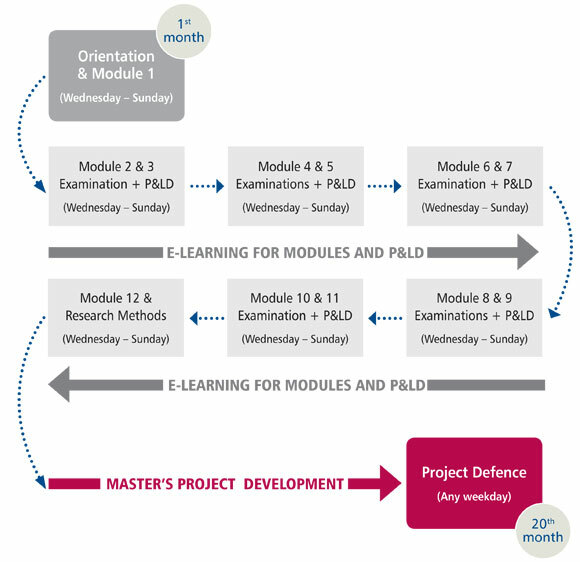 2 Assignments – You must also complete 2 written assignments based on 2 different module topics. Each assignment must be between 3000-3500 words and is entirely your choice as to which 2 modules you base your written assignments on. Assignment options can be found at the end of each module. Mentoring and Feedback (4 x 1 hour sessions) These are primarily to help you prepare you for the skills assessment at the end of the course. You will be familiar with all the basic coaching skills, and the mentoring is intended to develop these to a more advanced level in the context of the workplace. Supervision (4 x ½ hour sessions) with a specialist supervisor coach. As part of the Advanced Diploma programme you are provided with telephone/Skype-based supervision with a specialist supervisor coach. You will have four sessions of 30 min each. This aims to develop a working relationship which promotes your professional growth as a coach – with the supervisor’s role being to reflect back to you where they perceive possible or actual unconscious processes or where your professional approach can be strengthened. There’s 35 hours of logged practical coaching to be done. This needs to be done with business or corporate clients. And when your mentor coach thinks you’re ready for it they’ll put you forward for a final practical skills assessment. Thinks works exactly the same way as a mentor session but instead of giving you feedback at the end you will be assessed on your performance. There are 12 teleclasses to be done. The teleclasses are mini lectures over the telephone on subjects relating to your course work that tie in with the modules you are working through in your course material. These are available on our member’s area in MP3 files so you can download and listen to them at a time that suits you. is a great practical experience which provides everyone with the opportunity to engage with fellow students and corporate faculty. This is over a Friday, Saturday and Sunday and is fully inclusive. You’re fully looked after from the moment you arrive. You will have your own double bedroom which is en-suite, all meals are included, refreshments, elevenses etc etc. – We do this for a reason. We don’t want people to worry about the little things like the cost of a sandwich or a cup of coffee. We limit numbers on our residential course to about 25-30 students to about 6-8 trainers and staff. We limit numbers so people get the full benefits of the weekend. The thing that makes Noble Manhattan stand out from other companies is the support we offer not only while you are on the course but for life. We are still in touch with most of our coaches today and work with the closely. Support Groups – We run these on a monthly basis all over the UK, Ireland, Poland, Romania and we keep developing. This is a great opportunity to meet like minded people in your local area, discuss the course/coaching, listen to speakers and have as a great social event. Members Area – designed for all NM students, Coaches and Associates to provide as much backup, help, care and support as you need. You will have access to hundreds of hours of downloadable teleclasses, past essays, helpful hints, details of support coaches and access to an online community so you can join study groups and talk with students/coaches worldwide. Business 4 Coaches – is a sister website to the NM group. All it does is help you set up your own business and help you gain work. with us, asking for coaches so you can apply for these contracts like applying for a normal job. Marketing Advise – We can advise you on how to market yourself (niche marketing) and how to get your business started and the IT department can also design you a website at a very reasonable price. The Coaching MasterClass with Supervision, offered exclusively through Noble Manhattan Coaching, offers group supervision / coach co-training in a collaborative learning environment. The Coaching MasterClass with Supervision group learning environment allows participants to develop executive master coaching and/or team master coaching skills at an individual pace. The Coaching MasterClass with Supervision replicates the actual structure and process of real-life coaching for the purposes of individual benefit, efficient team work, goal achievement and problem solving. To ensure accurate representation of the true coaching relationship, classes are offered on a ten day cycle, once a month over a 365-day period. A deeper understanding of what is needed to enhance sales and marketing, create products, access the most innovative success strategies, develop a keener “business sense”, immerse oneself in today’s networking systems and collaborate with colleagues in an effort to write, get published, etc. With the Noble Manhattan’s partners of The International Business School (IBD) We can now offer an All new Executive MBA. This is the Only Executive MBA that has a coaching model included in it. Innovative, rigorous yet practical program, co-designed by a world’s top business school together with Poland’s leading executive development organisation. A program combining flexible study mode with world-class faculty, adhering to highest educational standards. Contact the IBD for more information. Created with practicing managers in mind, the IBD Executive MBA is designed for individuals whose careers are already well advanced and who desire to achieve more. It is for both seasoned professionals and executives at the peak of their career and mid-level managers wishing to accelerate their way to the top. Participants with divers professional and ethnic backgrounds, from all industries and different types of organizations are welcome, as they will contribute to a rich learning environment of this programme. The programme is for people who have clear, realistic career goals and know how an Executive MBA can help them achieve these goals. As each participant will be studying alongside a diverse group of capable and highly motivated classmates, we are looking for candidates who are not only capable of benefiting from an advanced educational offering but are also able to contribute to our teaching environment of small groups and peer learning. We are looking for participants with passion who are open-minded and eager to learn new things and broaden their horizons. 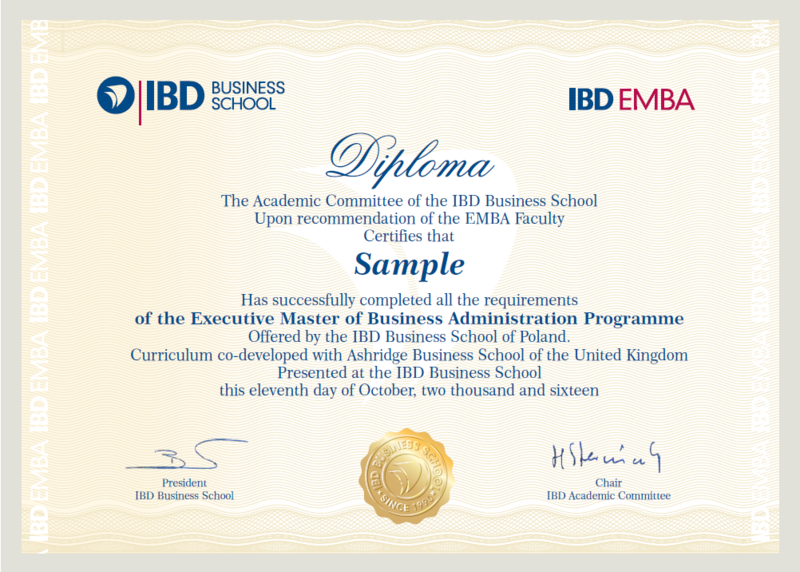 Students who successfully complete the degree requirements of the EMBA Programme will receive an IBD Business School diploma certifying the rights and privileges appertaining to the qualification of Executive Master of Business Administration. Through co-designing this programme with Ashridge Business School, our diploma reflects the regulations and directions contained in the UK Code of Higher Education. The Executive Master of Business Administration award is globally recognized within the business field as a certification of advanced business management knowledge and skills valued by employers worldwide. The possession of such award enables the recipient to assert his/her professional standing and opens the avenues towards accelerated career progress. Designed for working professionals, the program’s structure minimizes participants’ time away from the office by complementing classroom experience with dynamic e-learning methods. Our dedicated Learning Space platform is used for both module-seminar enhancement and the development of participants’ managerial competences and leadership capabilities. Enjoy support to help develop and crystallize your company vision.